Marilyn Byrd - KINDAH FOUNDATION, INC.
Ms. Byrd has a combined total of forty-one (41) years of professional business & Accounting experience in handling matters for both Government and private entities. Ms. Byrd receives a Bachelor of Science Degree in Business Administration & Accounting. 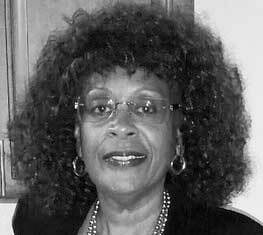 Ms. Byrd began her career in the field of accounting in 1973 at the General Telephone and Electronic Corporation Company as a Supervisor of Customer Accounting. It was here that she started her journey toward success. During her seven (7) years with the company, Ms. Byrd-Holmes has held the positions of Financial Analyst / Consolidation Accountant and Associate Internal Auditor. Through her hard work within each of these positions, she has gained knowledge of preparing consolidation reports, calculation of minority shareholder interest, preparation of funds statement, preparation of quarterly and annual budgets, variance analyses, and conducting research for shareholder meetings. During her tenure, she passed on her crafted knowledge to younger workers through cross training. Ms. Byrd-Holmes went on to serve another thirty-four (34) years with Johnson Controls World Services Inc. / Pan Am World Services Inc. a company that she continues to serve. Since joining the company in 1980, Ms. Byrd-Holmes has held the positions of Senior Project Accountant, Senior Auditor, Administrator of Government Audit Liaison, Manager Government Compliance, and Audits.She has positively contributed to the success of the company as her duties saw her performing tasks such as monitoring and supervising contracts that have been awarded, directly supervising and training project staff members and handling the financial accounts for one of the largest projects her company has received. In addition, she performed duties such as auditing proposals, projects and financial statements for projects, liaising with external auditors and agencies and finally to act as Company interface on a daily basis to support the Defense Logistics Agency and the Defense Contract Audit Agency. As the Manager, Government Compliance and Audit, she holds the responsibility for formally responding to other agencies on behalf of the company, heads investigations, and board audit assignments and provide assistance to the Legal department for contract closeouts. She has been instrumental in developing several papers, manuals, and books that have assisted her various organizations to improve their efficiency. One such manual is the redesigning and revision of the consolidated reporting packages, the Contract Closeout Procedures manual and her publication of the Unallowable Costs handbook. In addition, she has never failed to highlight areas that need to be strengthened for better internal control, whilst updating and providing a continuous revision of policies and practices. Ms. Byrd Business Executive, Supervisor, Associate, and friend continues to grow from strength to strength as she positively contributes to any organization that she becomes apart of.